WASHINGTON, D.C. – March 27, 2014 – (RealEstateRama) — The Federal Housing Finance Agency (FHFA), as conservator of Fannie Mae and Freddie Mac, today announced it has reached a settlement in cases involving Bank of America, Countrywide Financial, Merrill Lynch, and certain named individuals totaling approximately $5.83 billion. Bank of America Corporation owns Countrywide and Merrill Lynch. The cases alleged violations of federal and state securities laws in connection with private-label, residential mortgage-backed securities (PLS) purchased by Fannie Mae and Freddie Mac between 2005 and 2007. Allegations of common law fraud were made in the Countrywide and Merrill Lynch cases. “FHFA has acted under its statutory mandate to recover losses incurred by the companies and American taxpayers and has concluded that this resolution represents a reasonable and prudent settlement of these cases. This settlement also represents an important step in helping restore stability to our broader mortgage market and moving to bring back the role of private firms in providing mortgage credit. 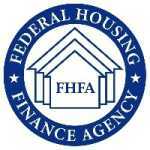 Many potential homeowners will benefit from increasing certainty in the marketplace and that is very much the direction we should be taking,” said FHFA Director Melvin L. Watt. Bank of America involves the following cases: Federal Housing Finance Agency v. Bank of America Corp., et al., No. 11 Civ. 6195 (DLC) (S.D.N.Y. ); Federal Housing Finance Agency v. Countrywide Financial Corp., et al., No. 12 Civ. 1059 (MRP) (C.D. Cal. ); Federal Housing Finance Agency v. Merrill Lynch & Co., Inc., et al., No. 11 Civ. 6202 (DLC) (S.D.N.Y. ); as well as one Merrill Lynch security in Federal Housing Finance Agency v. First Horizon National Corp., No. 11 Civ. 6193 (DLC) (S.D.N.Y.). 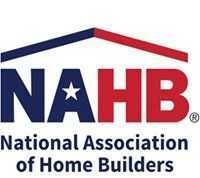 FHFA efforts are in line with other government initiatives to resolve PLS matters with Bank of America.